we’re thrilled to see the rise of the slow and handmade, and one way of gauging interest is media. launching on kickstarter today, with half of their goal already reached is handmade, a magazine from juniper moon farm. juniper moon farm holds a special place in our heart – through offering subscriptions to yarn and fiber to urban folk, they’ve also offered an education into the rural way of life, and made it so much more than just buying the end product. 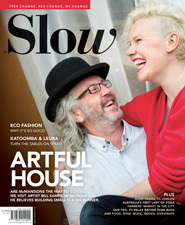 then there’s the local goodness of slow “Slow Magazine Australia is a low gear lifestyle publication that delivers authentic content focusing on life in the slow lane, especially in regional Victoria.”. slow magazine seems to have lived up to their name and started slowly, but are meandering beautifully with design awards for their pages, and wonderful local stories. check out the tasters about living slow on their site, and grab a hard copy to slowly work your way through. 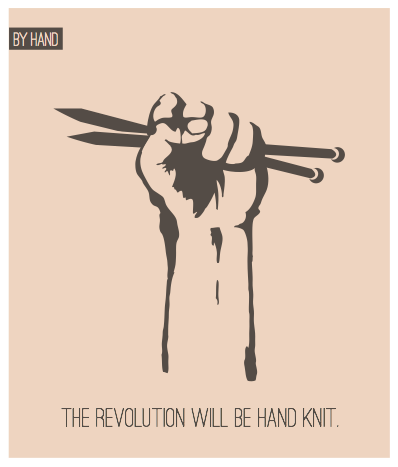 Filed under crowdfunding, knitting. 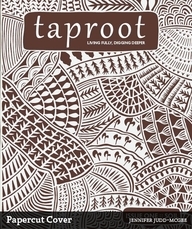 Tagged #b03, blogging march, handmade, kickstarter, magazines, slow, taproot. Saturday, March 3, 2012, at 11:05 am.